Because we share our experience with you. 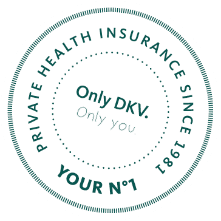 The DKV Luxembourg is the market-leading service and product provider of health insurance in Luxembourg. We stand by you as a reliable and advisory partner. Experienced, high-performing and a dependable partner since 1981. Our broad product range extends from minimal protection via travel insurance through to full insurance – both at home and abroad. 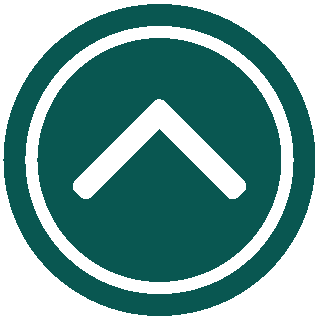 Continuous market analysis ensures that our clients benefit from high-quality products that are constantly adapted to changes in the market. Our development of new products is always clearly focused on the client’s needs, which also form the basis for our dedicated consultancy and customer-oriented services. As a health insurer we are nowadays, more than ever before, tasked with putting our know-how and competence at the service of providing as many people as possible with optimal and high-quality healthcare that is affordable. We offer every single person an opportunity of obtaining a tailor-made solution that is adapted to his or her own requirements. Our many years of international experience thus allow us to cater to the individual requirements of every single person. In the world of health insurance, the adage that “the customer is always right” presents a unique challenge. Opting for a health insurance is a decision for life. If you are to decide correctly as the customer, you will need competent consultants. Which is why we place great demands on our employees who need to justify themselves every day. We attach great importance to the thorough training of our specialists and executives. And our success proves us right. As market leader in the field of health insurance, we promise you to continue keeping the ball rolling where quality assurance and competitiveness are concerned. For us, good and fair insurance cover means that the equivalence principle applies. Which also means that you only need to pay as much as you wish to make use of in services. To do this, you can pick and choose from a type of modular system with us. We will jointly consider what suits you best and then customize your insurance cover accordingly. We want you to feel secure. Which is why our existing rates are continuously and critically reviewed by external, neutral experts. And we also want our proposals to be up to date. We continuously adjust to the requirements of our clients and givens in the market by the further development of our existing products and the creation of new ones. If large and professionally engaged enterprises establish a partnership, they can change the balance of power in the market. No one would deny that sport is good for your health. The interest in leisure sports and organized sports has been rising continuously for years. DKV Luxembourg considers this development essential for the mental well-being of every human being. We have been promoting the maintenance of health for years as a sponsor and are additionally also supporting needy institutions with donations. We are continuously expanding this commitment.